On August 12, 2016 William Robert Strauch was born to one of our Environmental Studies faculty, Dr. Mari Elise Ewing, and her husband Nate Strauch. Will, named after his two grandfathers, has a contagiously friendly spirit and spreads smiles on each of his campus visits. 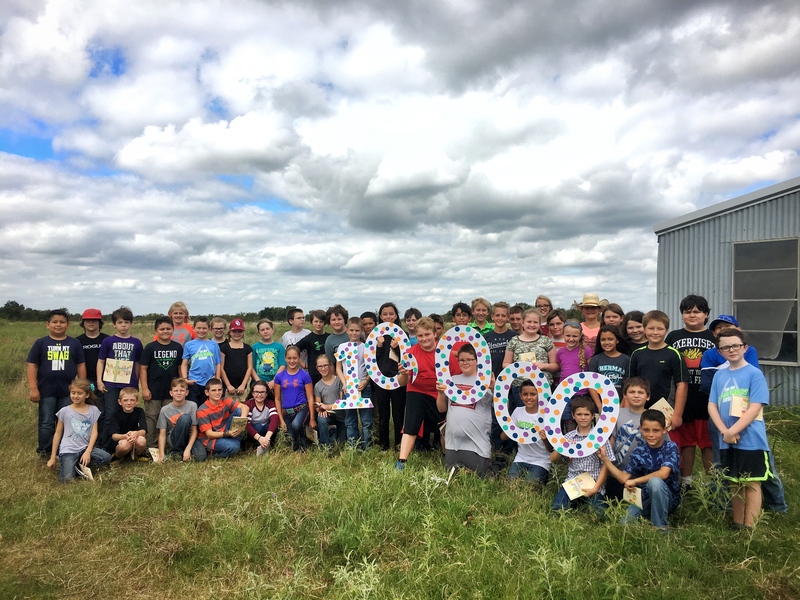 On Tuesday, the 4th of October, the 10,000th child visitor was welcomed to the Sneed Prairie Field Trip Program. 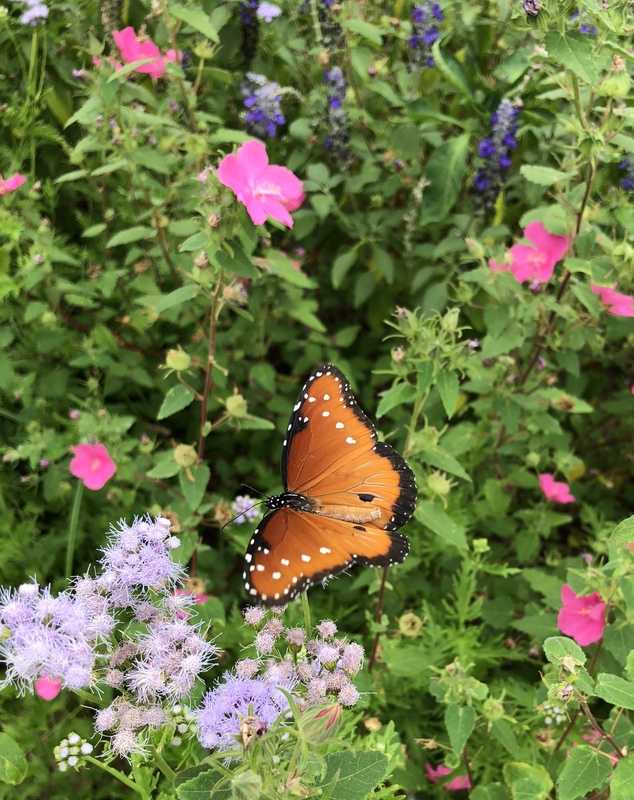 Since the program’s beginnings in the summer of 2002, over 70 Austin College field trip leaders have led field trips for dozens of classes from more than 20 school districts. We send a huge thanks and congratulations to all that have helped us make this project a success! 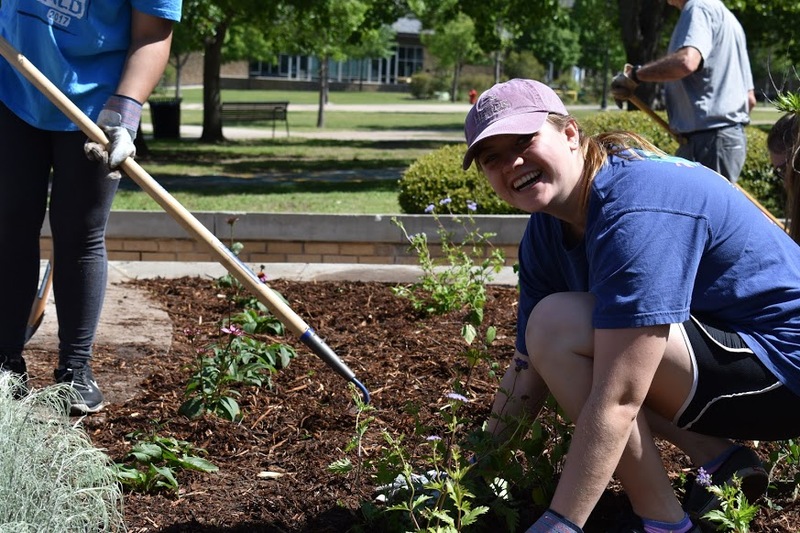 For the past eight years Austin College Thinking Green has been hosting “AC Unplugged”, a month long energy saving competition that takes place among the four residence halls. This year Think extended the competition to our junior and senior students living in the cottages in hopes of yet another participatory lesson in energy conservation. Cottages that chose to participate were in competition for two awards – largest percent decrease and least amount of energy used overall. Cottage winners in each category were reimbursed for 2/3 of October’s electricity bill! In total, there were 8 participating cottages who decreased their consumption by an average of 35% and maximum of 48% from the month of September to October. The total amount of electricity saved by cottage residents was 3,741 kWh – enough to power the average US household for 3.5 months! We are excited about this addition to Unplugged and looking forward to how it may grow further next year. Suggestions? If you have witnessed or participated in similar energy saving endeavors, please feel free to contact us with thoughts or suggestions. Contact aocanas@austincollege.edu. 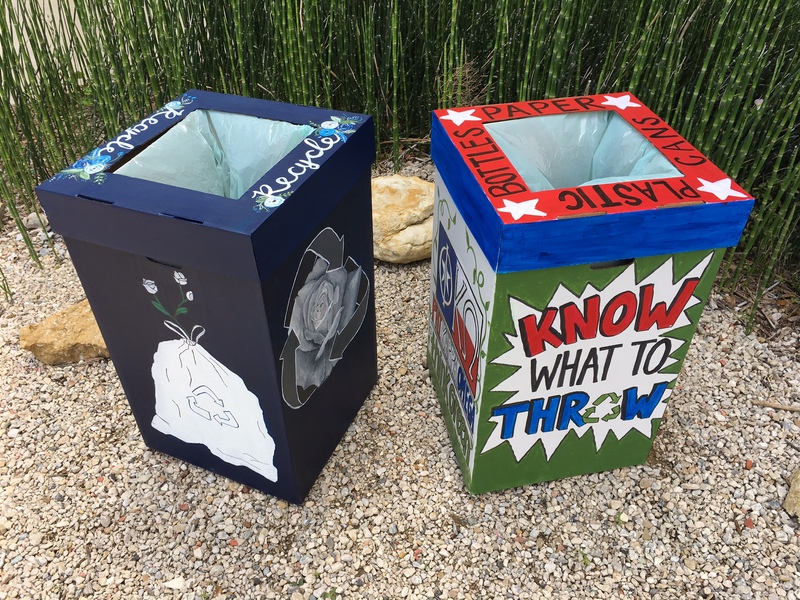 In order to increase student awareness and engagement with campus recycling efforts, Think hosted their first ever “Trash Bash”. Various organizations designed and decorated their own recycling bins, which were then put to use in the IDEA Center. We have been officially recognized by the EPA as a Green Power Partner. Almost 100% of Austin College’s electricity is from renewable sources. This year’s theme – on the baseball hats in the photos seen here– was “Make Earth Green Again”. 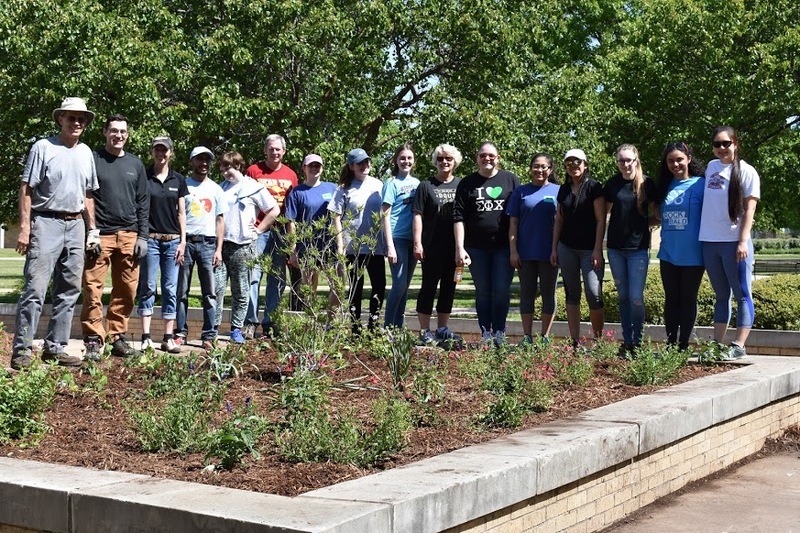 We consider the event a happy success as we had approximately 194 volunteers working at 14 sites across Grayson County. Just in case you didn’t already know – we have launched a new initiative to stay in touch with our ENVS alumni and friends. 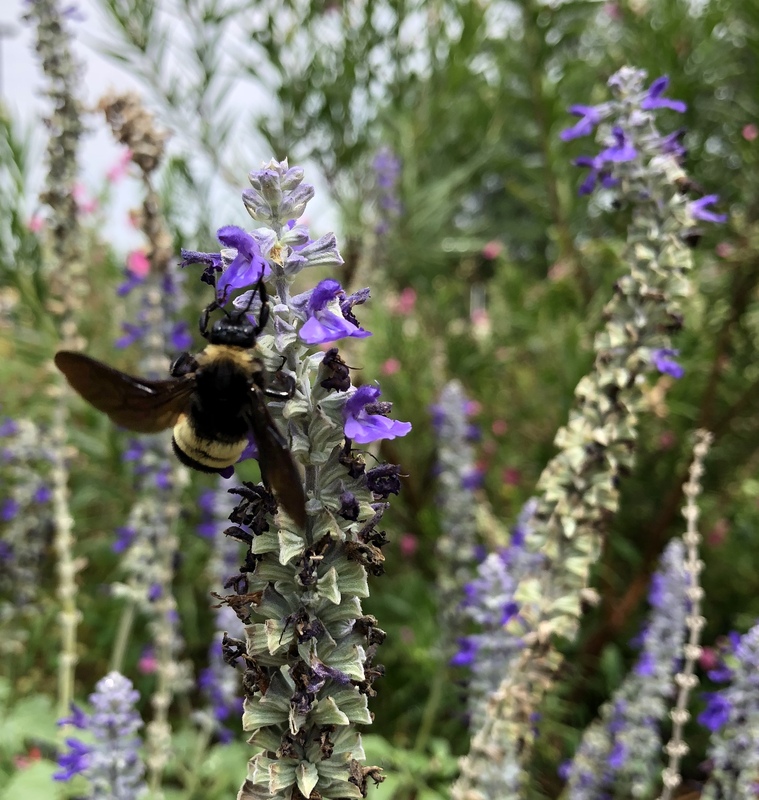 We have (of course) this blog, which will help us share stories with you, and a LinkedIn Page, which is used to keep our alumni contact information up to date. If you have not already connected to our LinkedIn Page or joined our Alumni Group, please do both by following the links below. And so another great year has come to an end. 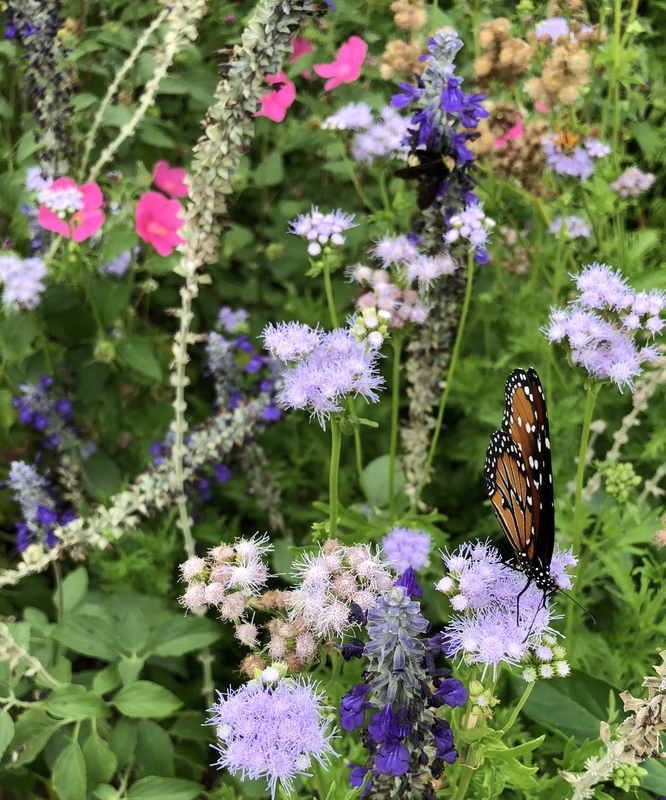 In just a few weeks three students will begin outstanding internships at Bamberger Ranch, The Land Institute, and the Little Traverse Conservancy. These internships are made possible by a generous alumnus and partnerships between Austin College and the host organizations. We always hear great reviews from our interns and their hosts, and we look forward to hearing about this summer’s experiences! Seven years ago, Austin College hosted our first GreenServe; an event created and proposed by a student in ENVS 135 (Introduction to Environmental Studies). 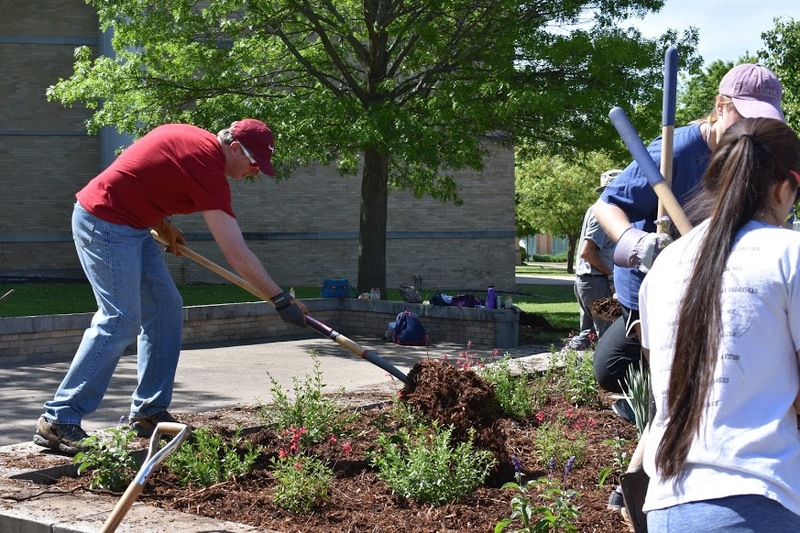 This campus-wide opportunity attracts nearly 200 volunteers to community service projects focused on environmental responsibility, sustainability, and raising awareness for Thinking Green. 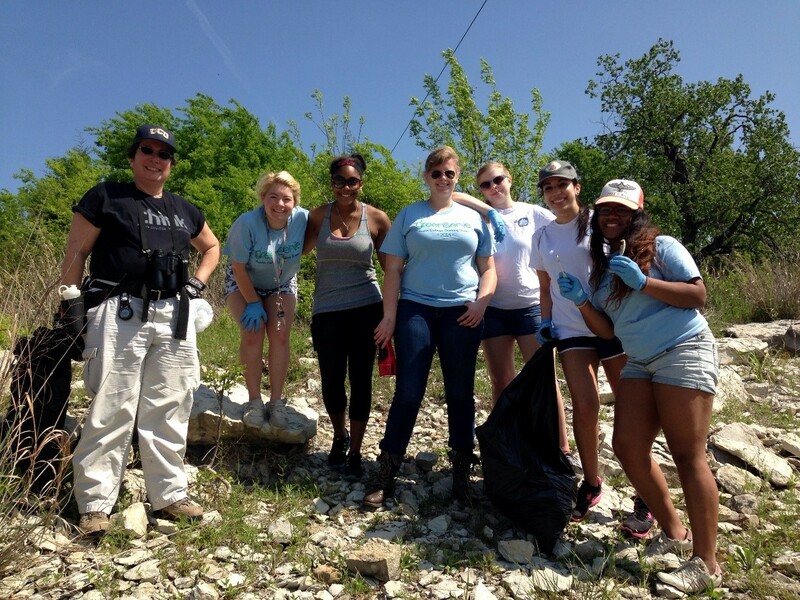 Volunteers after habitat clean up at Denison Dam. The event is co-sponsored, organized and implemented by two student led groups: Austin College Thinking Green (or Think) and the Service Station. By tradition, service projects last for three hours on a Saturday morning that falls on or near to Earth Day. In contrast to the three hours spent at each site, there are several weeks and countless hours that go into the planning of GreenServe in hopes that students will be provided with a wide range of opportunities from organizations that will inspire or establish a greater connection and meaning to long term environmental responsibility. 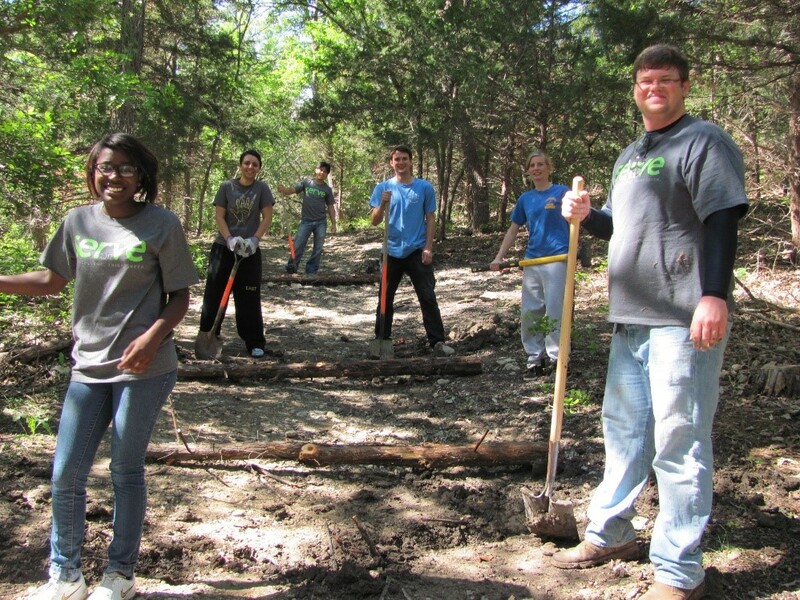 GreenServe Volunteers completing trail maintenance at Binkley Bike Trail. Volunteers prepare to plant their section of plants at GreenServe. 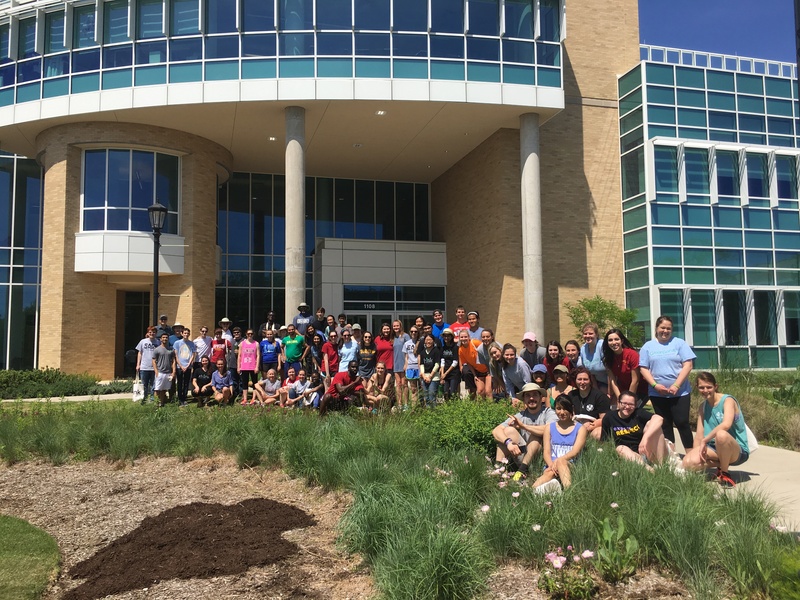 This year, our 7th annual GreenServe, there was a special focus given to a site on our own Austin College campus. 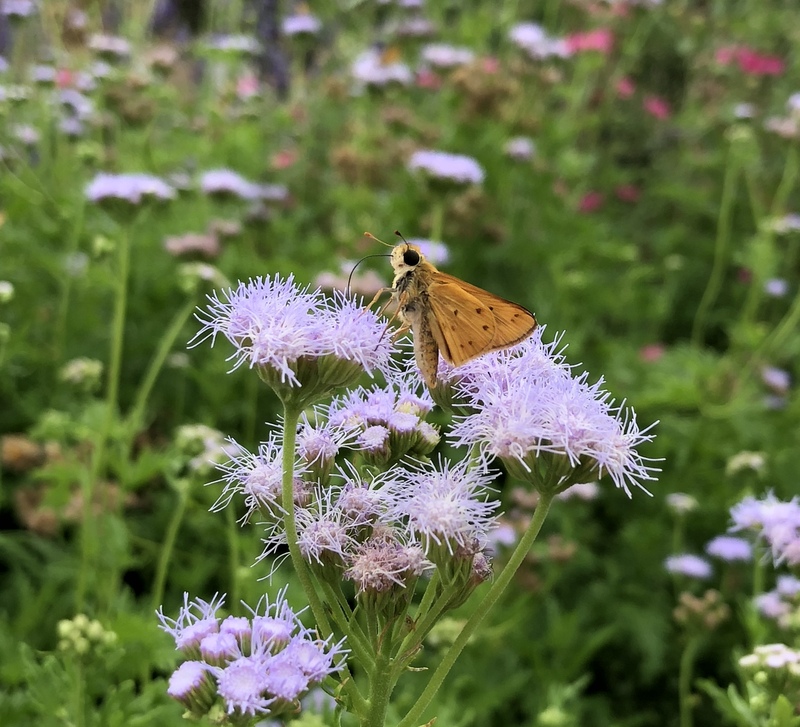 Over 80 GreenServe volunteers planted hundreds of native Texas flowering plants and grasses around the IDEA Center to support pollinators and encourage the adoption of native habitat restoration and education. 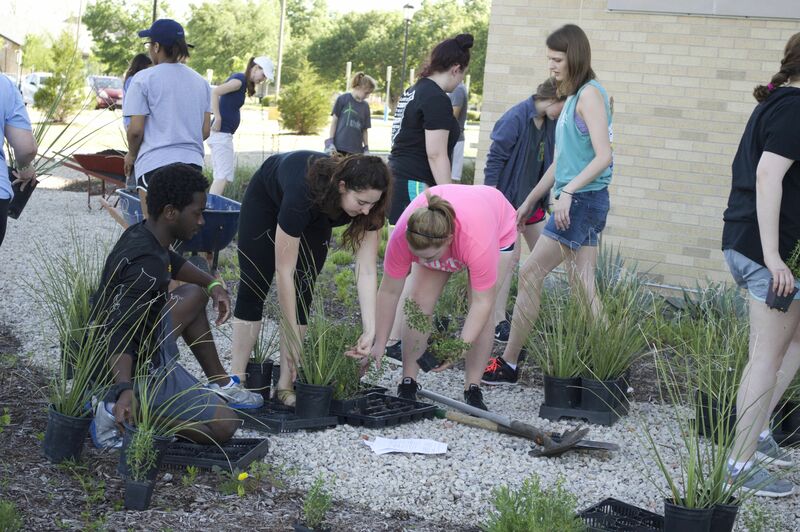 The plants were purchased with the Student Sustainability Fund. As a result of a student referendum, five dollars of each student’s activities goes to the Student Sustainability Fund, whose expenditures are chosen by a student committee. GreenServe volunteers at the native planting site. Next year’s GreenServe will be on Earth Day – April 22, 2017.